Jockey KC Wong was in great form when rode three winners all on Sunday at Selangor Turf Club. Wong, got his first winner in Race 2 with Blue Eyed Boy, then went on to win on Skydance Eclipse in Race 6 and capped a great day in Race 8 with Hello Boss. To his credit, he has ridden 13 winners so far this season. 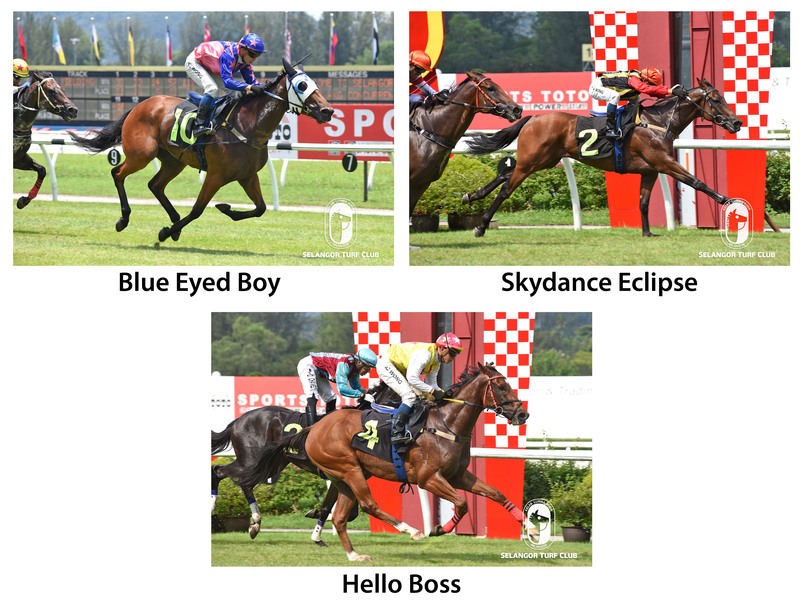 Jockeys S. Anandan, Jackson Low, Jose De Souza and Apprentice L De Souza rode a double each respectively. Anandan’s double were on Saturday with German Speed in Race 2 and Sun Lion in Race 6, while J. Low rode a winner each with Hydrant in Race 1 on Saturday and Moment Of Justice in Race 3 on Sunday. Brazilian jockey Jose De Souza got his double on Saturday with Newcome Poyle Charlotte in Race 4 and Lonely Boy in Race 8. Apprentice L De Souza got his double on Sunday when rode for his master Richard Lines in Race 7 with God Helps Me and in Race 9 with Harveywallbanger in Race 9. Jockeys with a single win were HS Gill on So On in Race 3, S. Ruzaini on Sattar in Race 5, HK Cheng on Arc Cara in Race 7, all on Saturday, while Y Aify won on Tarzan in opening event on Sunday, Apprentice N. Varmah on Char Kway Teow in Race 4 and Oscar Chavez on Brother Wind in Race 5, all on Sunday.